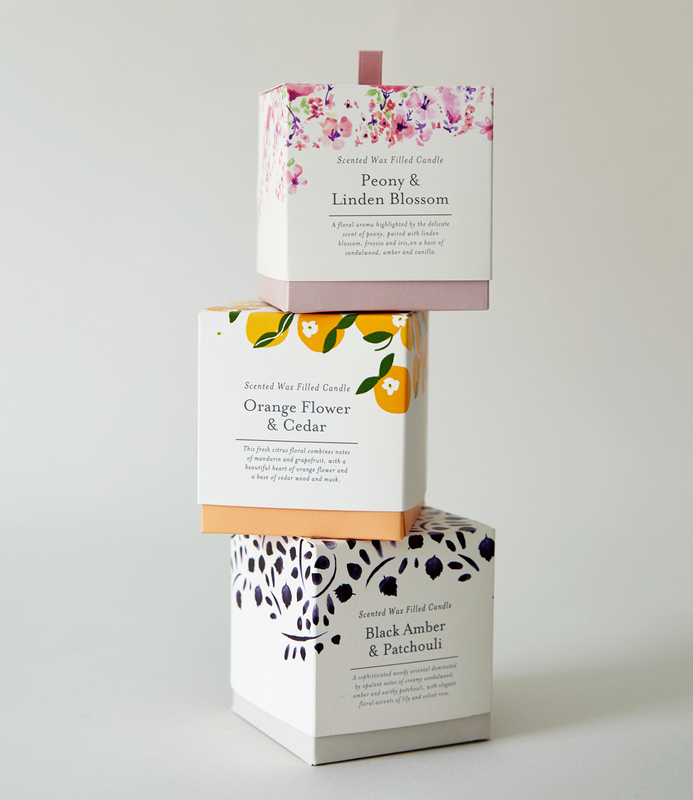 Sainsbury’s briefed the Brown Dog team to design packaging for home fragrance; a collection of diffusers and candles. 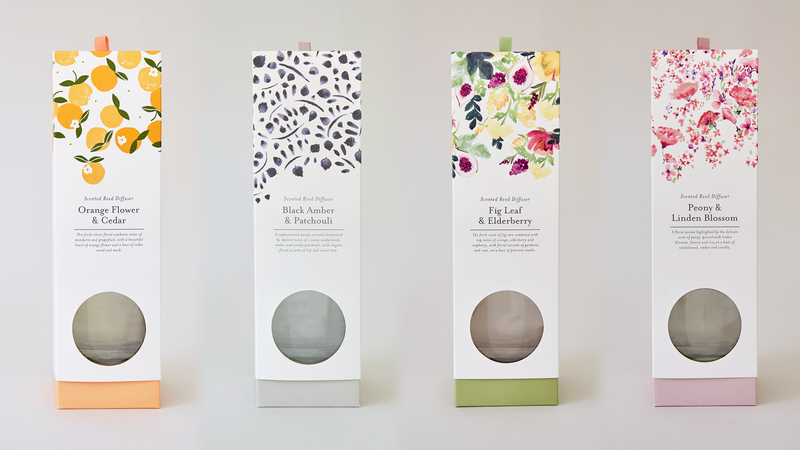 The packaging design needed to have a premium feel and be gift-worthy. 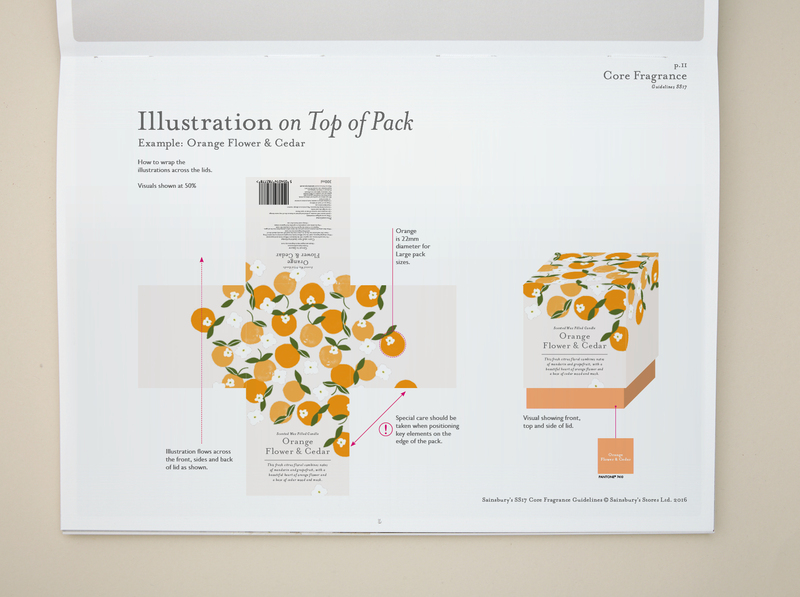 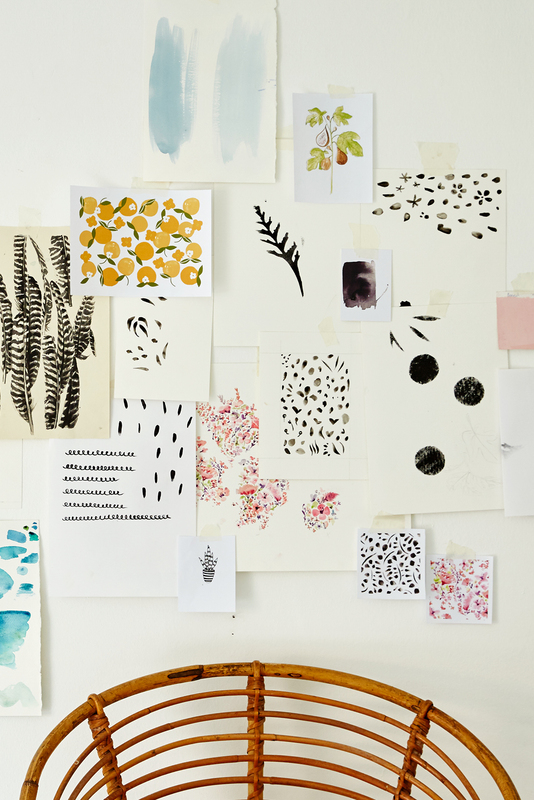 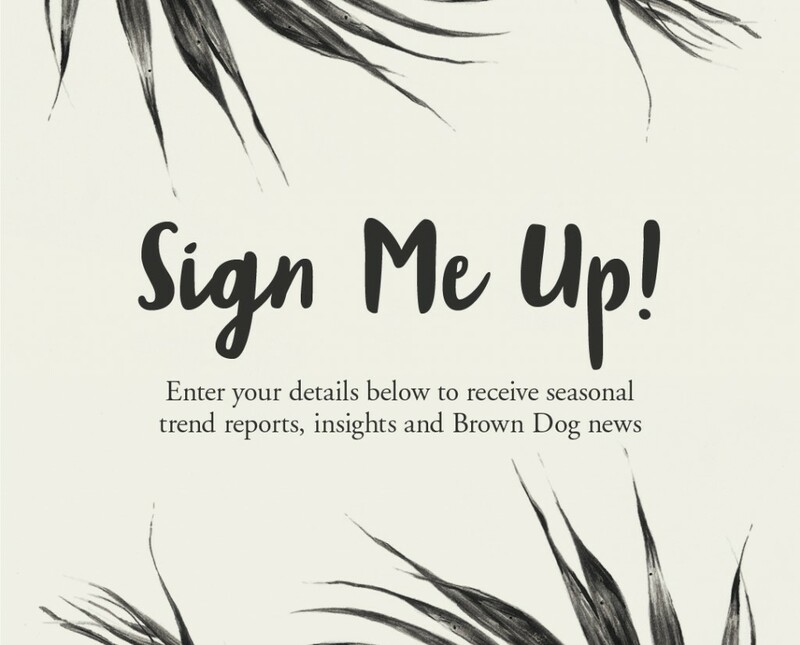 A series of illustrations were hand-sketched and painted, in the Brown Dog studio, to represent the floral fragrances. 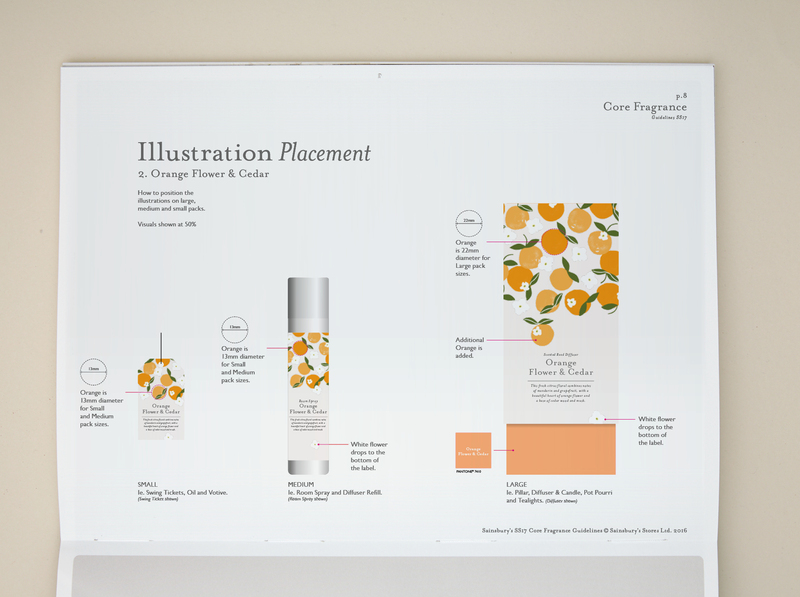 Each fragrance was given a unique solid base colour and a delicate, petal illustration.